Fortnite is one of the most popular games on Twitch (and everywhere else) right now, so it stands to reason that the free loot promo from a couple of months ago makes a return. 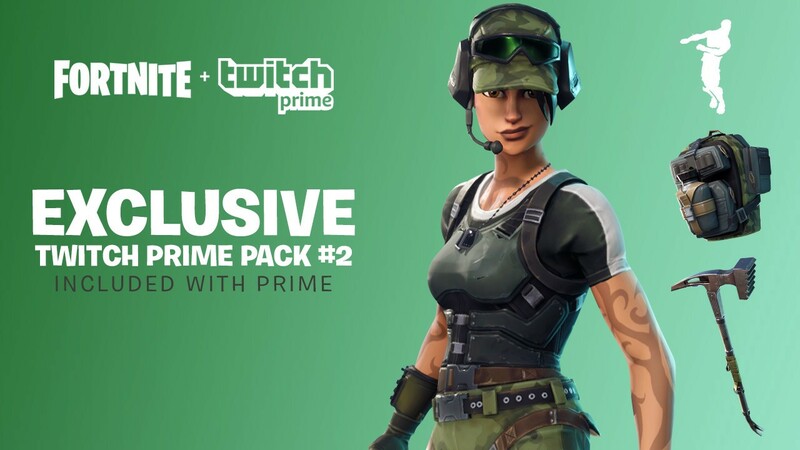 Twitch has announced that starting today, Prime members will be getting the Twitch Prime Pack #2 for Fortnite. Much like the first Twitch Prime Pack, this one also comes with a few skins you can only find within. This time, the pack includes an outfit, a back bling, a pickaxe, and an emote. More specifically, you’re getting the Trailblazer Outfit, True North Back Bling, Tenderizer Pickaxe, and the Freestylin’ Emote. Because you’ll be redeeming the loot for your Epic Games account, you’ll be able to equip any of the items on your platform of choice. That includes iOS, as well as PC, PS4, and Xbox One. Like any previous Twitch Prime loot pack, you’ll need to make sure you have an active subscription to be able to claim the loot. Go to Epic Games to link your Epic and Twitch accounts. Make sure you select the correct platform and that you see the Loot Acquired screen. Sign in to Twitch and click the New Prime Loot icon. You should see the Added to your Twitch account message. Log in to Fortnite and get your free loot. Avengers: Infinity Wars’ Thanos is currently playable in Fortnite for a limited-time event, and we’ve got a guide on how to get the Infinity Gauntlet and become Thanos. Week 2 Challenges for Season 4 have also kicked off, which means we’re here to help you nail all challenges this week and earn all the XP and Battle Stars possible.